Of all the extraordinary and obscure plants that have been fermented and distilled, a few are dangerous, some are downright bizarre, and one is as ancient as dinosaurs—but each represents a unique cultural contribution to our global drinking traditions and our history. 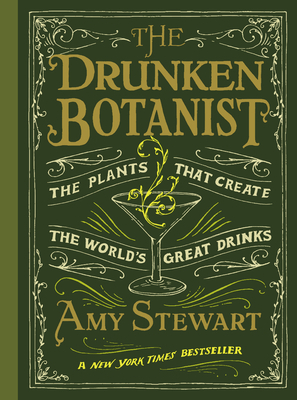 This fascinating concoction of biology, chemistry, history, etymology, and mixology—with more than fifty drink recipes and growing tips for gardeners—will make you the most popular guest at any cocktail party. Amy Stewart is the award-winning author of six books on the perils and pleasures of the natural world. She is the cofounder of the popular blog Garden Rant and is a contributing editor at Fine Gardening magazine. She and her husband live in Eureka, California, where they own an antiquarian bookstore called Eureka Books.